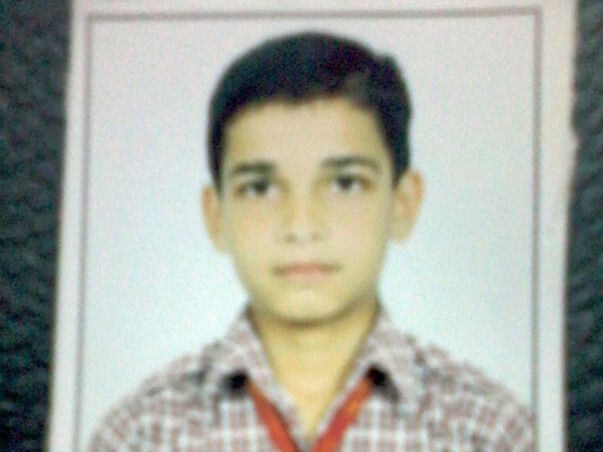 I am Sanjeev kumar sharma father of Deepanshu sharma. 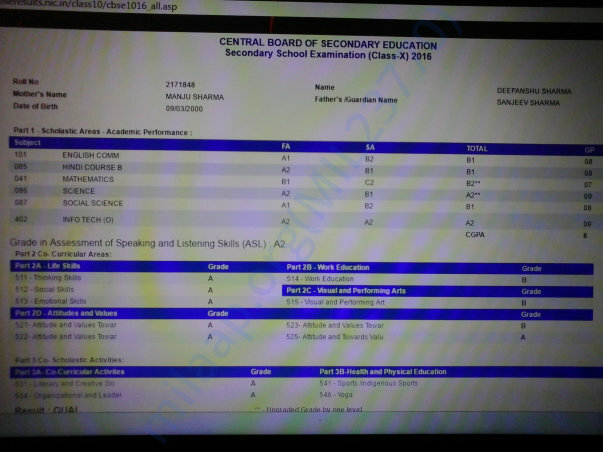 My son is studying in class 12 stream medical [Private School]. But, on 12/09/2017 i got heavy loose in my business due to this i can't afford my son school fee's[6 month fees is pending] . And our financial condition is very critical. I need only 80,000 (80 thousand only) to submit my son fees and registration fees. Below i attached class 10th mark sheet of son and class 11 fee's slip's. 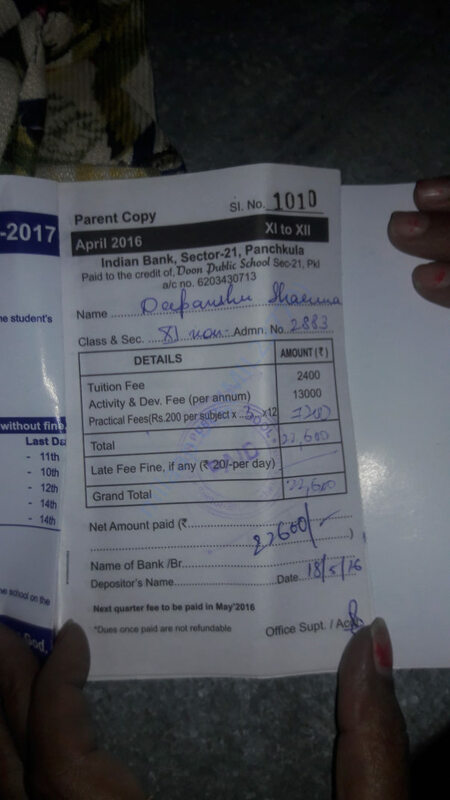 But due to heavy loose in business i am not able to complete the fees of class 12 of my son. 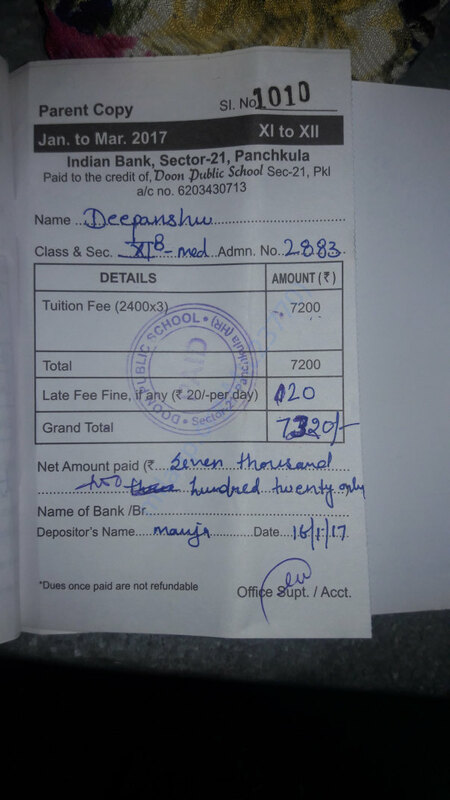 If you donate my child is able to complete class 12 (Medical stream).